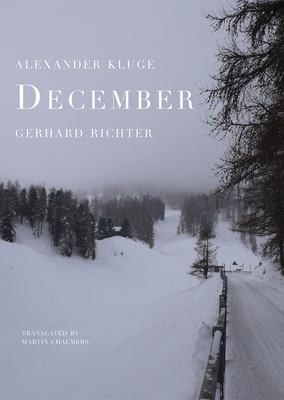 In the historic tradition of calendar stories and calendar illustrations, author and film director Alexander Kluge and celebrated visual artist Gerhard Richter have composed December, a collection of thirty-nine stories and thirty-nine snow-swept photographs for the darkest month of the year. Accompanied by the ghostly and wintry forest scenes captured in Gerhard Richter's photographs, these stories have an alarming density, one that gives way at unexpected moments to open vistas and narrative clarity. Within these pages, the lessons are perhaps not as comforting as in the old calendar stories, but the subversive moralities are always instructive and perfectly executed. Alexander Kluge is one of the major German fiction writers of the late twentieth century and an important social critic. As a filmmaker, he is credited with the launch of the New German Cinema movement. Gerhard Richter is one of the most respected visual artists of Germany. His seminal works include Atlas (1964), October 18, 1977 (1988), and EightGrey (2002). Martin Chalmers (1948–2014) was a Berlin-based translator from Glasgow. He translated some of the best-known German-language writers, including Herta Müller, Elfriede Jelinek, and Hans Magnus Enzensberger. "December physically ferries the reader back and forth between word and image, prompting a search for equivalents, as well as for those lost elements that have no equivalents. The space that December inhabits—a winter at once ominous and intimate, the last breath of the year in anticipation of its end and rebirth—is not unlike the space of translation."